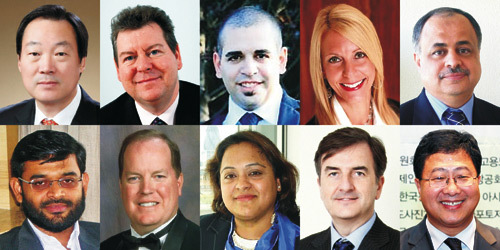 Final judging of The 2013 (10th Annual) International Business Awards, the world's top business honors, is set to begin next week, and today the names of the chairs of the 10 final judging committees were revealed. The IBAs recognize achievement in every facet of the workplace, and this year received a record-number of entries from organizations in more than 50 nations. 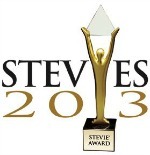 Final judging will begin on July 29 and conclude on August 7, and will determine the Gold, Silver and Bronze Stevie® Award winners who will then be announced on August 14. The awards themselves will be presented on October 14 at the W Hotel in Barcelona, Spain. For more information about The International Business Awards visit www.StevieAwards.com/IBA. Fairfax, VA – July 8, 2013 – Voting is now open for the fifth annual edition of the People's Choice Stevie® Awards for Favorite New Products, a feature of The American Business Awards. Anyone may vote for their favorite new products and services in more than 30 categories at PeoplesChoice.StevieAwards.com. Among the categories are Favorite Cloud App/Service, Favorite Consumer Product, Favorite Telecommunications Service, and Favorite Hardware. Voting will close on August 9.